These days, if you want to maximize the value of your theme park dollar by experiencing everything in the parks, it is incredibly important that you get there early. 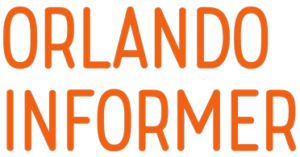 This means finding a spot to eat breakfast becomes all the more crucial, especially considering that many options across Universal Orlando open alongside the park or shortly thereafter. 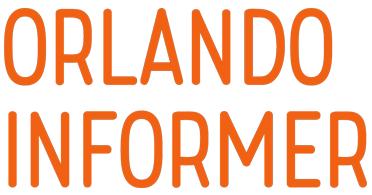 Let’s take a look at what Universal has to offer, whether it be a grab-and-go snack or a sit-down restaurant. Sometimes breakfast at the hotel isn’t viable if you’re in a rush to get to the parks. Luckily, CityWalk features several ways for you to grab a quick breakfast bite on the go. This small quick-service venue is located right at the entrance to CityWalk, straight across from the Dining Reservation kiosk. 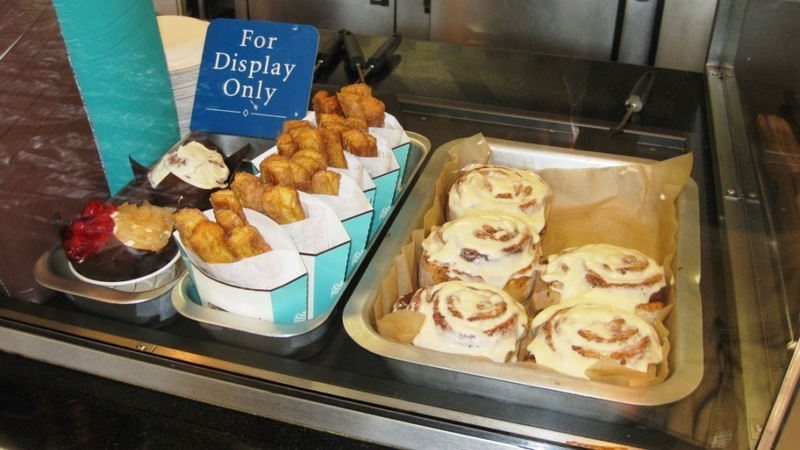 If you’re looking for a more decadent way to start your morning, Cinnabon serves up their world-famous “original” Cinnabons fresh out of the oven each morning. 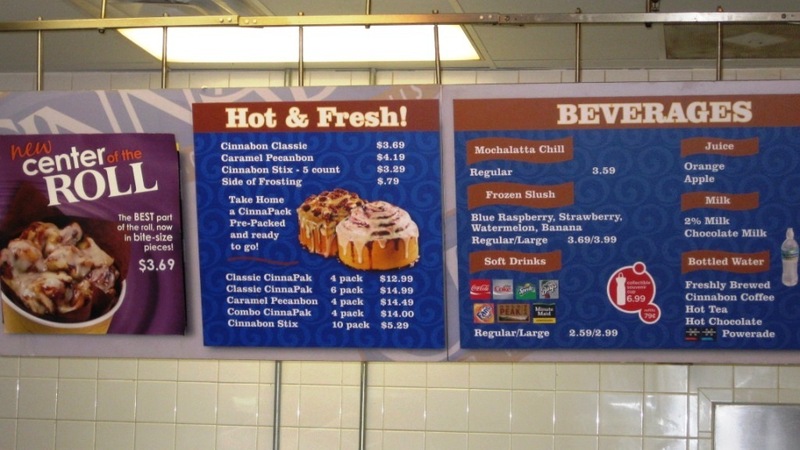 They also have a few other pastry options, such as their Cinnabon Stix, and Seattle’s Best Coffee to drink. Items are $3 to $4 a piece. Bet the ones they serve you look just as good! 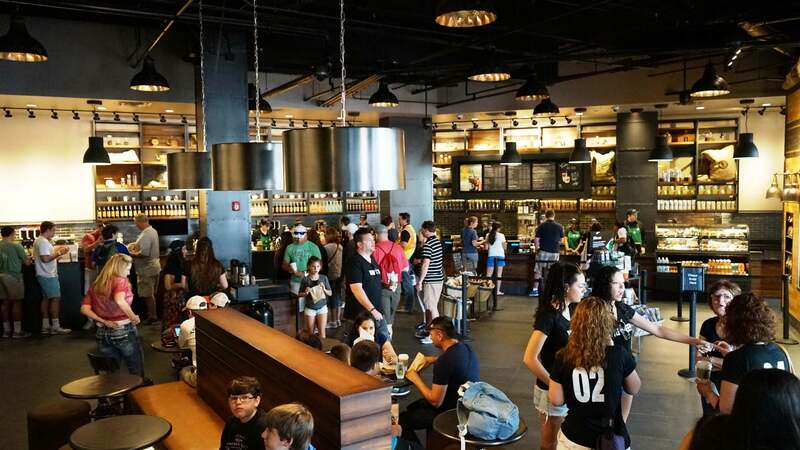 Starbucks commands one of the biggest presences at CityWalk, and it’s no surprise why – the company’s trademark offerings are now the stuff of legend for many tourists. 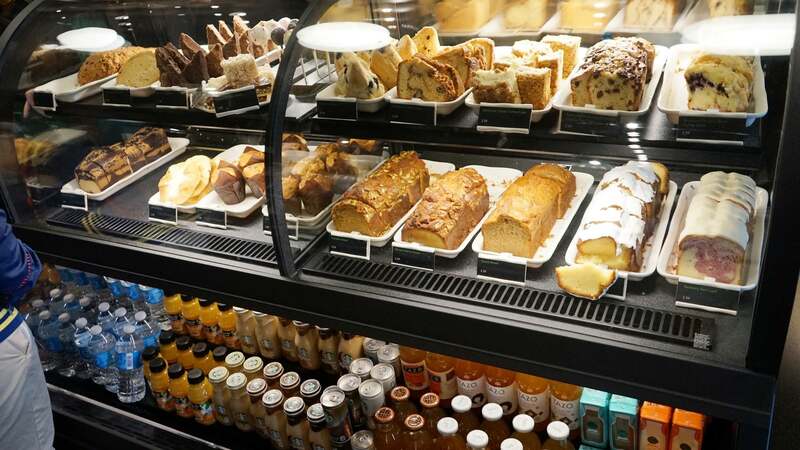 Since this is a full-size location, they offer all the good stuff you’d find at your regular Starbucks, including everyone’s favorite coffee drinks and a wide assortment of bakery items. The Starbucks at CityWalk also has a very cozy arrangement of tables, chairs, and couches inside. However, don’t get too comfortable, because you need to get in line for Harry Potter. Offering the most picturesque breakfast dining option, the shoreline features two venues for grabbing breakfast. 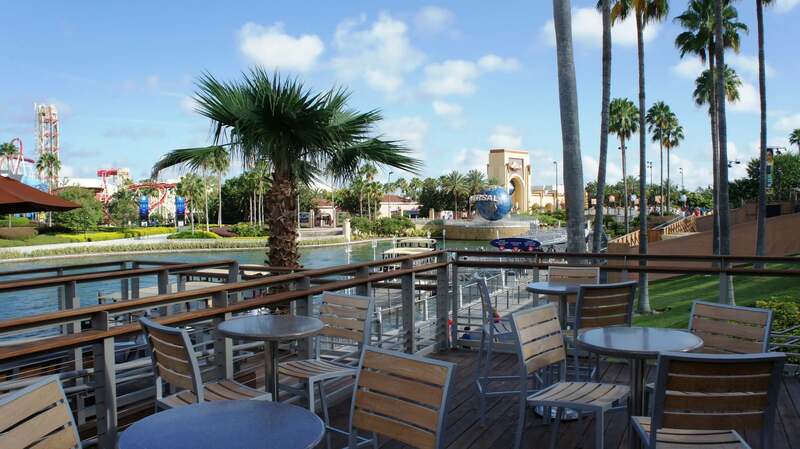 The first is across from Emeril’s Orlando on your way to Islands of Adventure. Selling breakfast sandwiches, croissants, muffins, yogurt, and a mix of morning beverages, you will be able to find something quick here to stop your stomach from grumbling. 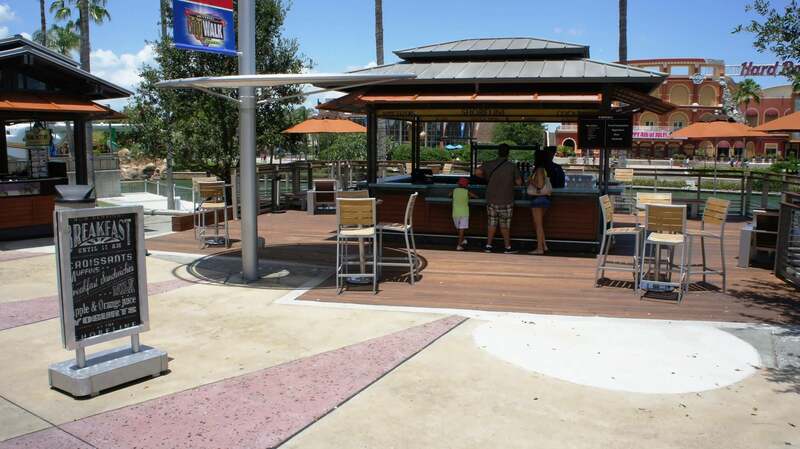 The second shoreline venue is near NBC Sports Grill & Brew on your way to Universal Studios Florida. 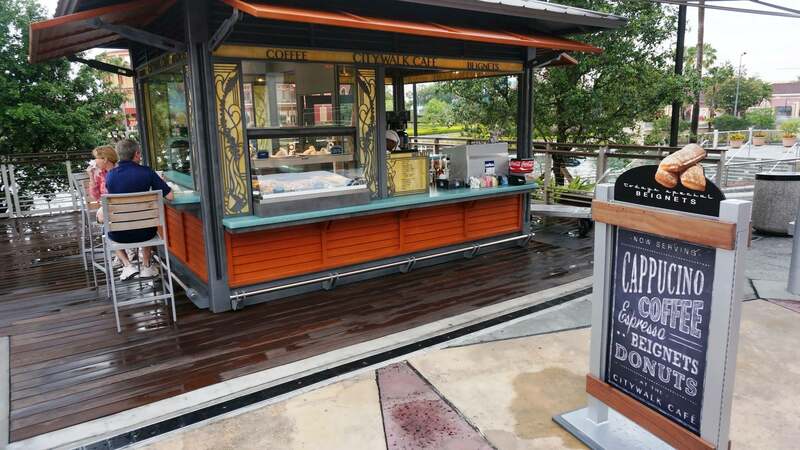 Calling itself CityWalk Cafe, the quaint food and beverage stand sells cappuccinos, lattes, espressos, and iced and regular coffee. It also will tempt you with beignets in chocolate sauce and other baked goodies. What about breakfast inside the parks? 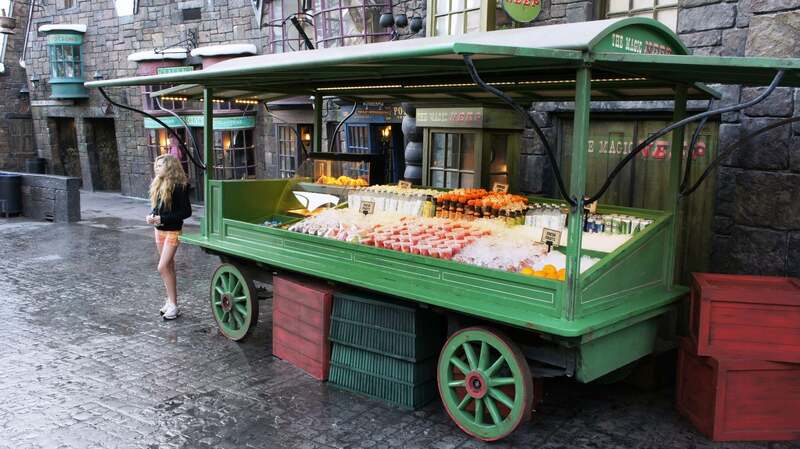 Universal also has an assortment of refreshment carts stocked with breakfast-appropriate foods in the morning, such as croissants and fresh fruit. What if we want to experience breakfast at our hotel? All five of Universal Orlando’s on-site hotels offer a variety of different breakfast options, including both table-service and grab-and-go options (if you’re in a rush to get to the parks). 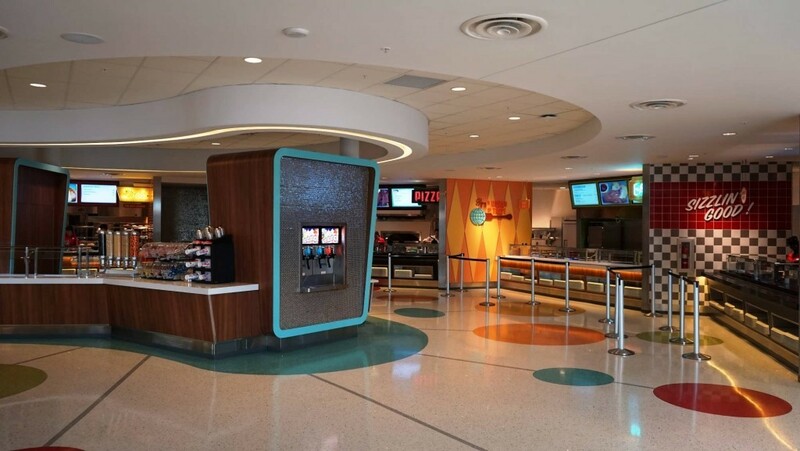 The Bayliner Diner food court at Cabana Bay features both quick service and a grab-and-go area for guests to enjoy for breakfast, which is served from 7:00 am – 11:00 am. Some of the options include Poached Eggs on Gouda Swirl and Bacon-Egg-Cheese Croissant. There is also a Starbucks located near the main gift shop for guests to grab that cup of coffee or treat in the morning. Amatista Cookhouse is a great table-service restaurant for guests to enjoy breakfast at, which is served from 7:00 – 11:00 am. Also located at Sapphire Falls is New Dutch Trading Co. This venue features grab-and-go service featuring coffee, pastries, and more, and is located across from the main gift shop right next to the lobby. For an extra fun breakfast with the kids, Hard Rock Hotel also offers a popular character breakfast at The Kitchen, which features – as you might expect – breakfast with your favorite Universal characters. The hours are 7:00 am to 12:00 pm. Adult prices are $26.99 + tax, and kids are $14.99 + tax. Also located at Royal Pacific Resort is Islands Dining Room, which features both a traditional breakfast buffet and an a la carte menu for guests to enjoy. Guests can enjoy Emack & Bolio’s Marketplace, which features smoothies, savory snacks, coffee, and more. Another character breakfast is featured at Hard Rock on Tuesdays, 8:00 am – 11:00 am, and Wednesdays and Saturdays, from 6:00 pm – 9:00 pm. If the character breakfast is not for you, one of the best table-service breakfasts you can have at Universal Orlando is at The Kitchen. Guests can choose from both an a la carte menu and a breakfast buffet. If you’re in a rush, swing by Sal’s Market Deli. 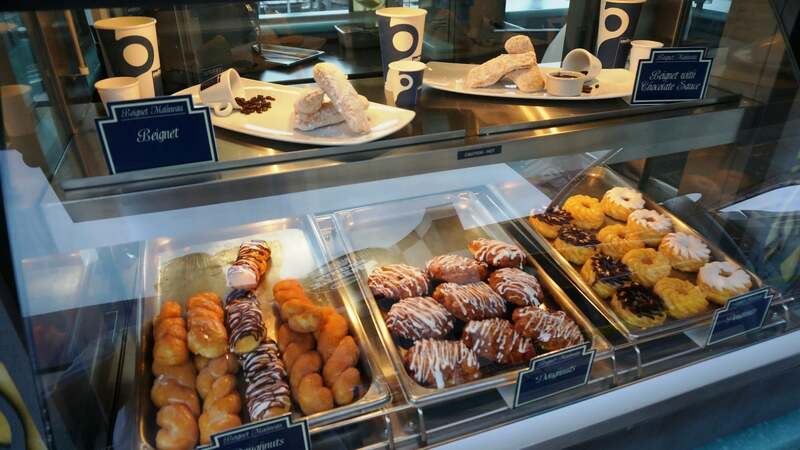 From 6:00 to 11:00 am, guests can choose from options such as Starbucks coffee, sandwiches, and Krispy Kreme doughnuts. 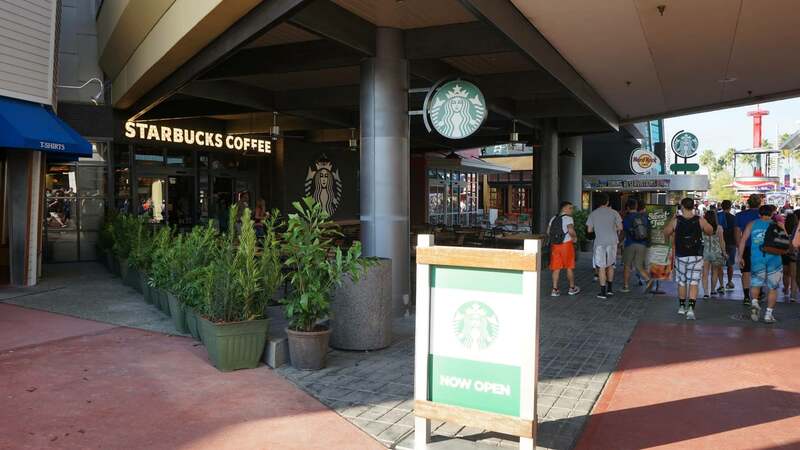 There is a Starbucks located inside the hotel complex and features both outdoor and indoor seating for guests to enjoy. Trattoria del Porto is a great table-service restaurant located at the hotel. The menu features pancakes, eggs, baked goods, fruit, coffee, and juice.